Warzone Ressurection takes you straight into the action of the Second Corporate Wars. 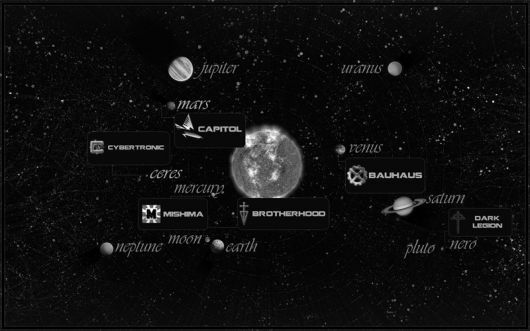 The Solar System is being torn apart by the undying battles both between Megacorporations, but also against the foul Dark Legion. On the sun-baked planet of Mercury, the sweltering jungles of Venus, the red deserts of Mars to the ice-fields of Ganymede, the five Megacorporations do battle. And even as the armies of humankind struggle for supremacy and after 1000 years of silence, the Dark Legion has returned. Only the spiritual guidance of the Brotherhood offers humanity any hope of resisting the forces of darkness.